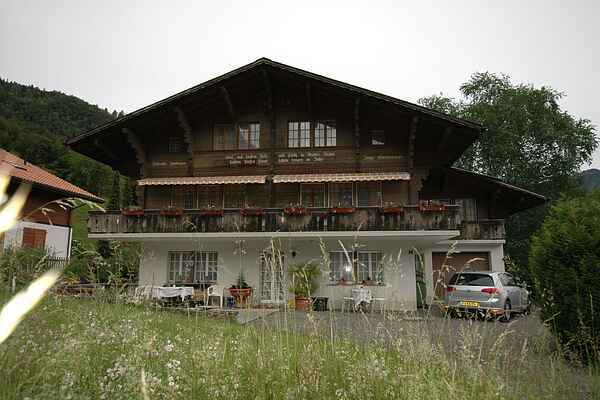 This well-kept home is situated on the second floor of a large, detached chalet with a view of the Mönch and the Jungfrau! Your house is modest yet neatly decorated and includes all the modern comforts. You live at the end of a cul-de-sac, so tranquility is guaranteed. The lawn offers plenty of space for a quiet afternoon of reading and sunbathing. Widerswil is centrally located in the Jungfrau region: within 5 minutes you can be by the Thurnersee or the Brienzersee, a 15-minute drive will take you to Mürren, and 30 minutes to Grindelwald and the Jungfrau. Within walking distance you'll find multiple restaurants, shops, a bakery, and fun terraces!